It’s probably a cliche at this point to point to a novel preoccupied with physical violence and call it “muscularly” written. I’m pretty sure if I looked, I’d definitely find that distinction given to this book by other reviewers, not that they’d be wrong of course. 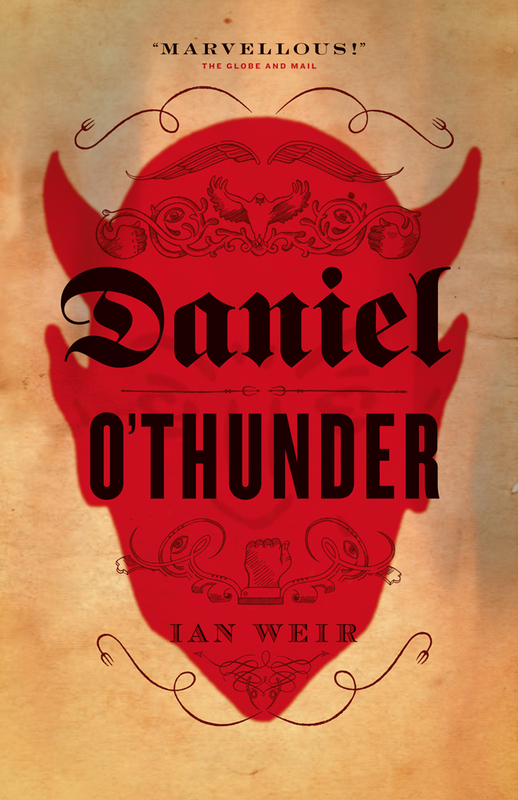 Daniel O’Thunder is indeed a muscular read, and, more than that, it is possessed of a pugnacious predisposition towards me liking it. If I had to narrow down my favourite genre of literary fiction, I’d probably have to go with historical narratives, and this is an excellent one indeed. The eponymous Mr. Thunder is a former illegal prize-fighter who by 1851 has become a preacher in London’s slums. When humanity’s most fiendish, ageless foe begins to stalk the city streets and prey upon unfortunates, Thunder comes out of retirement and challenges the Devil himself to a boxing match. He gathers in his wake a cast of characters that includes a teenage prostitute whose knowledge of swearing is a delight to all that come in contact with her, a charming yet disturbed young preacher-turned-actor, a boxing promoter who knew Thunder long ago, and a newspaperman who continually reminds the reader what his editors would like to prune out of his narrative. So yeah, as noted above, I really enjoyed this book. In fact, so much did I enjoy reading it that I actually finished the whole thing in about two sittings today. There’s just so many things Weir does right here. He’s got multiple narrators, all of whom have interesting points of view and character arcs. He’s got an amazing vocabulary being put on display here; there must have been about forty or so synonyms for the word “punch”, and I essentially devoured them all. It recalls the language of Deadwood, vulgarity mixed with poetry and with a sense of English jingoism for their true national sport of standing in front of someone and punching them until they don’t get up. It made me recall some of my favourite books of all time, Neal Stephenson’s Baroque Cycle, with its similar attitude towards telling a historical story in a way that does not recall the worst of actual period writing. The author is perhaps a bit too fond of a few turns of phrase, repeated use of “the coin of the realm” being the worst offender, but I can’t really blame the guy for getting caught up in language as deep and satisfying as this. Definitely check this one out.